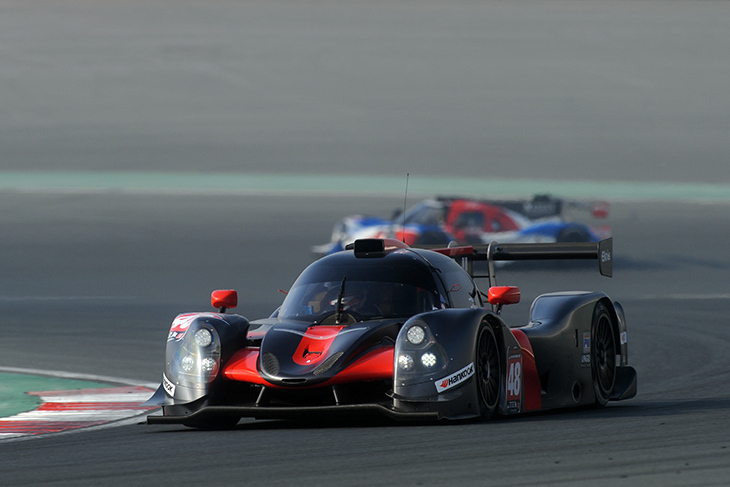 Bradley Ellis, Kyle Masson and James French overcame an early drive-through penalty to win the second of the three 24H Prototype Series races at the Dubai Autodrome for Optimum Motorsport. Like Race 1, the second three-hour contest turned into a race of attrition. 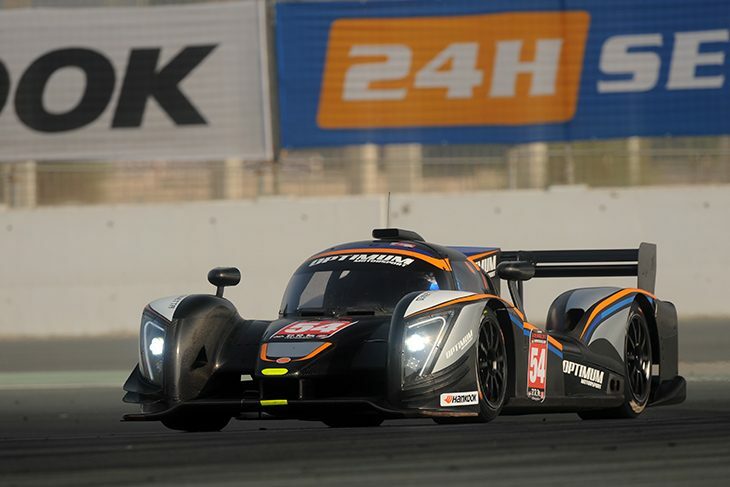 Driving the #54 Optimum Ginetta G57, the trio, won the race by 30 seconds over the Kox Racing Ligier JS P2, which claimed the LMP3 class win after a great drive by Peter Kox and Nico Pronk to beat the other LMP3 Ligier entered by Graff. The victory for Optimum was well deserved after mechanical woes cost the team a chance at the win in Race 1. It was also made sweeter by a great comeback drive after a pit lane infringement forced the team to take a drive-through in the opening minutes which cost the team valuable time. Third on the road in the end was the CWS G57 of Colin White, Brandon Gdovic and Jason Coupal, which crossed the line almost a lap back following a quiet three hours of racing for the team’s three drivers. The race, which was entertaining till the end, saw multiple lead changes, and runners from all three classes run at the front for lengthy periods of time. The story of the first hour was once again all about the Ginetta G57s’ superior pace to the other runners. 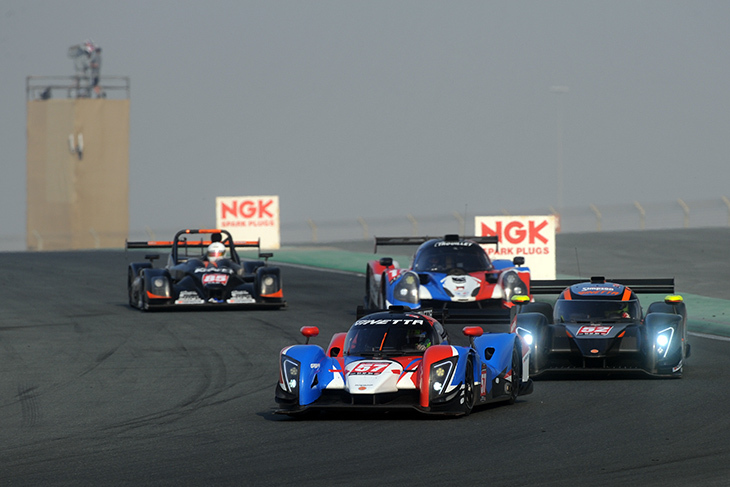 By the end of the opening lap it was a Ginetta 1-2-3-4, with the Race 1-winning Graff Ligier which sat on pole slipping to eighth after being swallowed by the chasing pack. It turned into a similar story to Race 1 though as once again most of the Ginetta G57s in the race – which looked poised to dominate in the opening laps – slipped back due a combination of mechanical issues, and the performance-balancing mandatory timed stops. The #50 Simpson, #56 Atech, #51 Century and #57 Graff G57s didn’t feature in the top five finishers by the end of the race. The #57 Graff G57 of Lawrence Tomlinson, Mike Simpson and Jordan Sanders in particular was robbed of its chance to win in dramatic fashion as in Race 1. 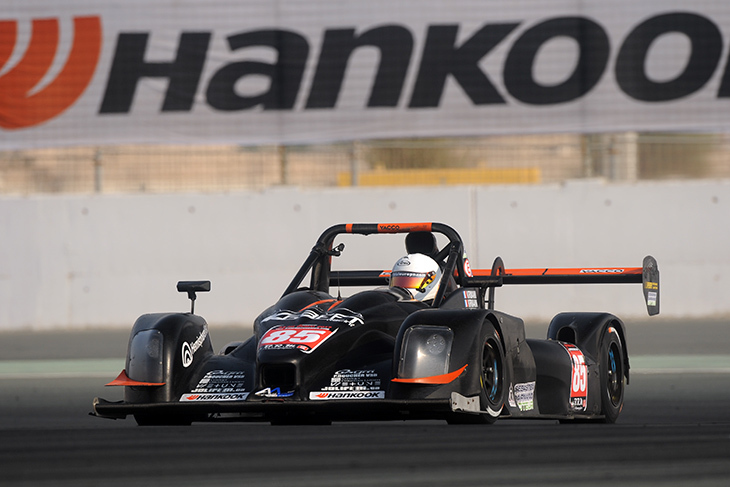 The car stopped out on track while running second with 49 minutes left while chasing the AUH Motorsport CN Radical which was leading at the time. In fact, just nine of the 15 starters finished the race, as five G57s retired and the #46 Avelon Formula CN Wolf suffered an oil pump failure early in the race. The Wolf’s retirement was the most notable, as it forced a Code 60 period which changed the shape of the middle portion of the race and brought the #85 CN class-winning Krafft Racing Norma – and later the Radical – to the fore. The Krafft team gained a ton of time, making an opportune stop while the rest of the field circulated under the slower conditions and exited the pits with a huge lead of over a lap which lasted most of the second hour. But predictably the chasing LMP3 and G57 runners caught up as the race went on, the mandatory pit times forcing the drivers in the faster cars to drive flat-out to catch up the slower CN cars. At the end of the race, the highest CN car – the #85 Krafft Norma – finished fifth and two laps back, a lap ahead of the third placed G57 class #52 Simpson Ginetta and two clear of the IDEC Sport CN Ligier which claimed second place in the class. Rounding out the top three in CN was eventually the AUH Radical. 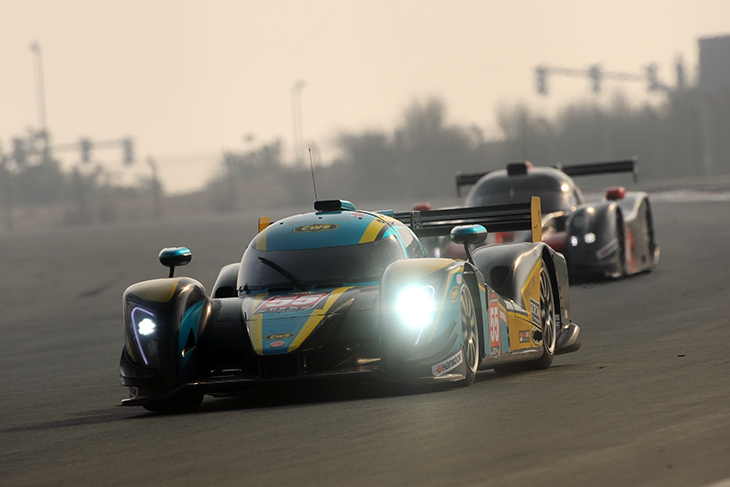 Race 3 for the 24H Prototype Series is set to run into darkness at 16:00 local time in the UAE, you can follow all the action live on radiolemans.com.